It’s a dog-eat-dog world out there. I work like a, well, you know. That said, I actively seek out a solid work-life balance. So when I’m at work I still like to enjoy a good nap in the sunshine. Nobody seems to mind. I’ve brought an extra bed to work in order to take full advantage of the southern exposure. But when I’m “on duty,” watch out. Squirrels should know that I can catch them if I really try. Ne’er do wells (postal carrier, I’m looking at you) should know that I am actively seeking the title of TLC (Toe Licker-in-Chief). But to everyone else, I am all snuggles. My client relations skills are top-notch. Visitors often bring me food and I rarely drool on their nice clothes. What do you think is the most challenging aspect of your role at Miller Advisors? Meetings that don’t include me—and, to add insult to injury, being kept behind closed doors during those meetings. I have more to offer! And when things get boring, my snores are barely audible. What have you learned from working with clients? Be enthusiastic but don’t jump on them and NO BARKING. What excites you most about the process of working with clients? To be honest, it chose me. But I love being part of the excitement and energy. Bury your bones in a place you’ll remember. What excites you about coming to work every day? Breakfast with my grandhuman, a nap in front of the fireplace, and being with my human mom. Walking in the park, chasing squirrels, eating and napping. So basically, what I do now but with a different backdrop. What’s the essential “must know” about you? I like to play, snuggle, nap and eat regularly – treats always welcome. 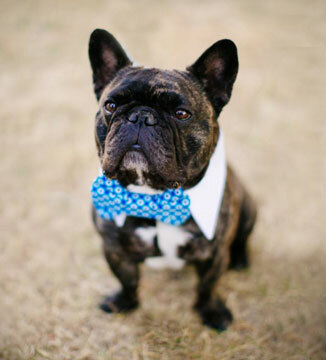 Marcel is a French Bulldog, born in 2010 in the non-French city of Monroe, Wash. To paraphrase our friends at the American Kennel Club, Marcel is an active, smart, muscular dog, compact in size with heavy bones and a smooth coat. His expression is alert, curious and interested. He is well proportioned, with a brindle coat. Marcel graduated from obedience school with honors.